Are you looking for a new Buick or GMC in the Kettering area? Check out the new vehicle inventory at Bob Ross Buick GMC! We have an extensive selection of car, truck, and SUV models in stock, from the stylish Buick Enclave to the top-rated GMC Yukon. 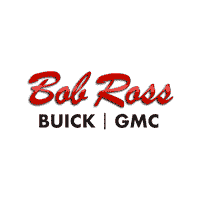 Why Choose a New Buick or GMC from Bob Ross Buick GMC? Our sales team is ready to get you behind the wheel of the GMC or Buick that’s best suited for your budget and needs. It’s our goal to ensure your car-buying process is smooth and hassle-free. If you’re ready to take your Springboro commute to new levels, it’s time to visit Bob Ross Buick GMC to browse the Buick and GMC models for sale in Centerville. When you’re ready to take on the fun things to do in Centerville in your new vehicle, give our team a call.